Be it a birthday or any other occasion, a combination of cake, roses, and a greeting card is the best kind of gift. You should send cake with roses and greeting card Jaipur to those people whom you want to feel special. 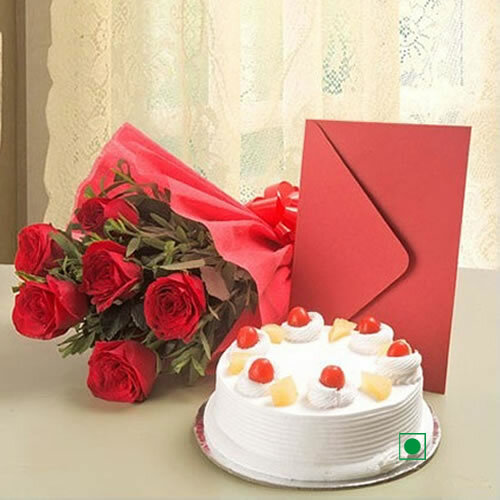 You will find this combo only at Gift Jaipur from where you can buy cake and many other gift items. After you order a cake, you just have to wait for a few days for the cake delivery. The cake online order can be done by anyone as it is so easy. We cater to the needs of every person, so we see only eggless cake so that everyone can enjoy it.